Running-physio.com started in 2012 as a site to offer free advice to runners on injury treatment and prevention. Since then it’s had over 5 million page views and gained a global audience. The site has evolved over time to cater for our visitors which tend to be both athletes and therapists that treat runners. As a result you’ll find a mix of articles, some aimed more at runners and some more at those who treat them. We hope there’s something for everyone! Tom is a physiotherapist with over 15 years of experience and a very keen runner! He graduated with a BSc (Hons) degree in 2002 and since then has worked in clinics in the UK and overseas. His career started in Winchester where he worked in the NHS and developed a specific interest in lower limb rehab and joined the physio team at a semi-professional football club. Following the Tsunami in 2004 Tom travelled to Sri Lanka and did voluntary physiotherapy work in a hospital, teaching local staff, treating patients and fundraising for new equipment. Tom returned to the UK in 2006 and started working in Brighton as a senior physiotherapist. His interest in rehab continued to grow and he ran lower limb and spinal rehab groups as well a chronic pain programme. Tom started RunningPhysio in March 2012 to help those training for marathons that spring, since then it’s developed into a resource used by runners and clinicians all over the world. Tom has written for Running Fitness, Men’s Running UK, and the British Journal of Sports Medicine blog. His research in proximal hamstring tendinopathy has been published in the prestigious Journal of Orthopaedic and Sports Physical Therapy. In 2014 Tom started sharing his knowledge through teaching on the Running Repairs Course which has gone from strength to strength and he now presents both in the UK and internationally. He has recently created a comprehensive online version of the course that’s been enjoyed by hundreds of clinicians around the world. I’m learning about running all the time, one thing I’ve found is that there are a lot of opinions out there! No 2 people will give you the same advice and I respect that. My plan with this site is to share my view on injury prevention and management when running. I welcome different views and ideas so please feel free to comment. I don’t claim to have all the answers but I hope people will find this site helpful. I’ve got a few miles under my belt and a few good PB’s – 39:30 for 10km and a 1:28 half marathon. In April 2013 I did my first marathon and loved it! I finished in 3:12:28 – full story here. I work at The Physio Rooms clinic in Brighton. For more information or to arrange an appointment see our Clinic Page. 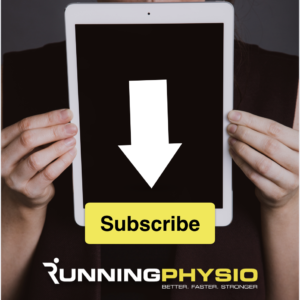 Very important!….a message that is echoed throughout RunningPhysio, this site is not designed to replace medical assessment and advice. With injury if in doubt get it checked out!